A complete guide to FREE Construction Apprenticeships – Delivered at our Cannock, West Midlands Training Academy. The Construction Industry is continually expanding, with a greater number of building projects being commissioned throughout the country to improve the skylines. To meet deadlines, ensure safety on-site and complete projects, the industry needs to recruit over half a million new staff each year, from Groundworks, Roofers, Bricklayers and Plasterers etc. The ideal pathway for a career in the Construction Industry is an Apprenticeship. Working in a construction environment, amongst trained individuals, developing the right skills and knowledge to become qualified in the industry. 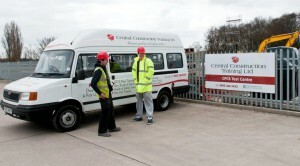 CCT Ltd offers high quality and sustainable Apprenticeships to the construction industry. Our modern training academy in Cannock, West Midlands, affords our learners access to the best resources and facilities for their training as well a wealth of knowledge and tuition from our team of apprenticeship tutors. We have monthly intakes on our courses to enable our employer’s flexibility when trying to meet their needs. We provide a range of courses, all of which are accredited to professional awarding bodies. Our apprenticeships are all Fully Funded through our managed contracts with the Skills Funded Agency. There will never be a cost to our clients for their apprentice training and all funding is processed by CCT LTD. This allows our learners to concentrate all their efforts on developing in their new role and affords our clients the comfort and assurance that everything is managed for them. 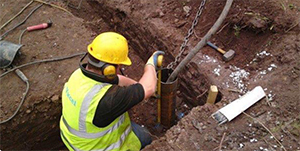 Apprentices can be in-situ candidates already employed by the company or CCT Ltd can recruit new placements. We endeavour to place each apprentice in the most suitable role. Through rigorous interview and initial assessments we ensure the placement is right for you and right for the learner. We will always arrange a 1 week work trial before the apprenticeship commences. Each company and apprentice will have a personal advisor in the office to assist with the completion of the enrolment and is on hand throughout the course for support and advice. The Tutor will regularly visit the learner throughout the course and complete the necessary observations to complete the NVQ assessment for the skilled worker card. At CCT Ltd, we want you to get the most out of your Apprentice. Our course structures are designed to strike a balance between in-house teaching and practical on-site experience, to provide your learner with the most comprehensive training. We also ensure that each company is allocated an enthusiastic and had working apprentice who is an asset to them during their placement and following completion of their qualification. 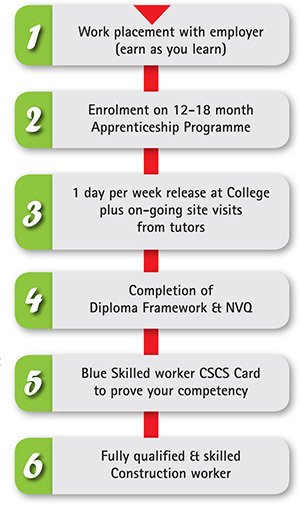 Please see our 6 simple steps diagram for information on the structure and duration of our Construction Apprenticeships. Below is a breakdown of some of the apprenticeships we offer at CCT Ltd and an indication of the core modules your apprenticeships will study whilst on the programme. 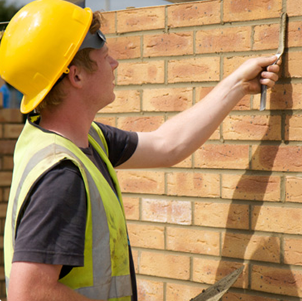 To complete a brickwork apprenticeship, the following modules will be taught and assessed. These modules are taught during the 1 day per week at college towards the Diploma. In addition to this site visits will; take place as on-going evidence on practical site skills required for us to complete the NVQ. To complete a General Construction Operations apprenticeship, the following modules will be taught and assessed. These modules are taught during the 1 day per week at college towards the Diploma. In addition to this site visits will; take place as on-going evidence on practical site skills required for us to complete the NVQ. 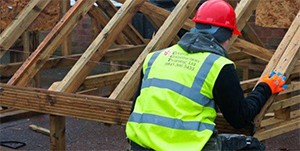 To complete a Roofing apprenticeship, the following modules will be taught and assessed. These modules are taught during the 1 day per week at college towards the Diploma. In addition to this site visits will; take place as on-going evidence on practical site skills required for us to complete the NVQ. Installing roof backgrounds, coverings, and pre-formed weathering flashings. 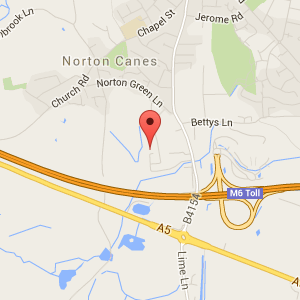 Our Apprentice Training facilities are contained within one site. This allows us to meet our apprentices face-to-face, both individually and as a group and allows for social interaction amongst peer groups. Our internal training area is 20,000 square foot, equipped with classrooms, practical workshop bays and all the tools necessary for the taught trades. We have the massive advantage of offering a further 2.2 acre outdoor area where our CPCS plant training & testing takes place. 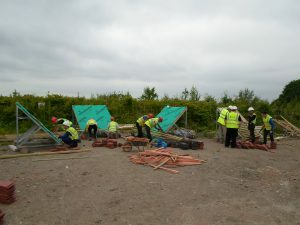 This area also provides access to our Groundworks practical training, where learners will learn skills such as laying domestic drainage and placing & finishing specialist concrete. Apprentices will be given the opportunity to gain a CPCS plant operator license whilst on their course. Generous discounts will be offered to companies to enable us to provide the training required to gain a CPCS Plant Operator License to our Apprentices. We offer a modern exam suite where learners can practice and take live CSCS Health, safety & Environment tests as well as testing for English & Maths Functional Skills. We also provide recreational areas where apprentices can relax and recharge on their breaks. Our training centre is centrally located on the A5 between Brownhills and Cannock and is easily accessible via all modes of transport. All our learners are offered a free pick up and drop off service on of our 17 seater mini bus. Local pick up routes have been timetables assisting our young learners in attending their college days without difficulties or expense. Apprentice Wages are currently at £3.30 per hour. The rates are usually updated every October – the current rates apply from October 2015. We aim to assist you in taking on an apprentice as easy as possible. We provide support and advice on gaining funding for apprentice wages with a grant of up to £6,000 per apprentice (available to eligible employers registered with CITB). Employers in England may also be able to claim £1,500 from the National Apprenticeship Service if they have not recruited an apprentice in the last 12 months. CCT LTD will be happy to Support will all funding/grant applications. In addition to our apprenticeships courses CCT Ltd is also a fully accredited CPCS plat testing centre, offering all routes to CPCS plant operator’s licenses and CPCS Crane Operations and specialist lifting courses. 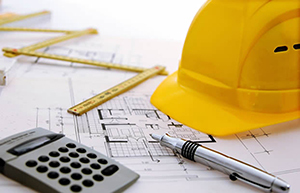 As an accredited CSCS centre we also provide NVQ’s for all CSCS Trade qualifications as well as NVQ’s for construction supervisor and managers.